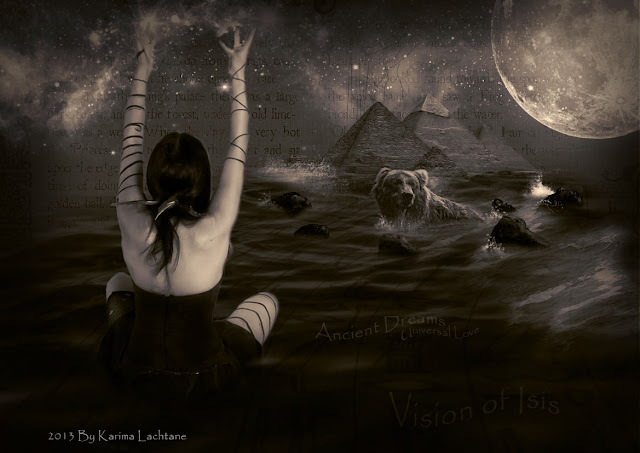 Behold the Secrets of Ancient Egypt, where the Nile comes alive only to enchant You with her magical words. 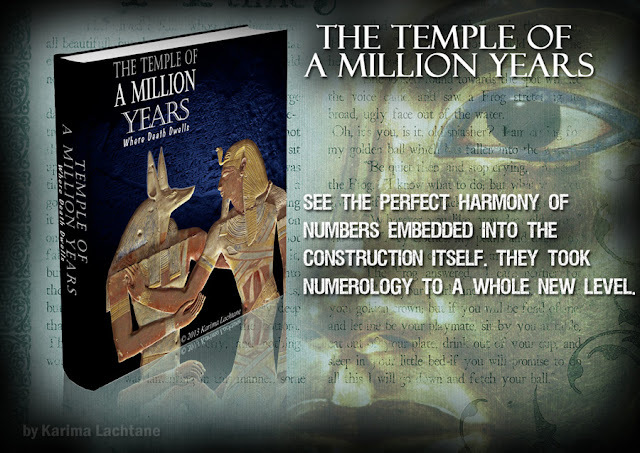 You will be taken centuries back in time, and meet the Pyramid Builders, and You travel even further into the ancient Egyptian Spiritual belief and see the constellations as they did. 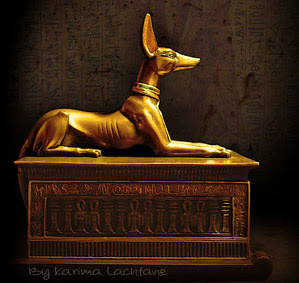 This Blog "Secrets of Ancient Egypt" was started 19. September 2008 under the name "Mysteries of Ancient Egypt"
Behold, the Secrets of Ancient Egypt, the land that the universe created when the cosmos made the Nile. As the Queen of the constellations raised herself above the two horizons and declared her name as Sirius, so did the jubilation of life occur, meanwhile her husband the Egyptian constellation of Orion stands guard by her. 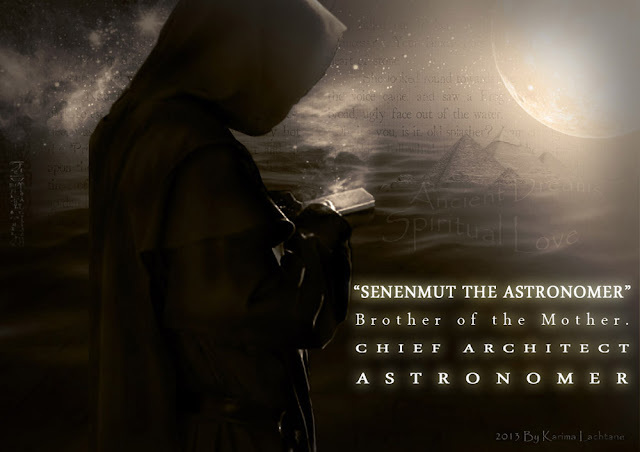 The articles that you find here, investigates all the mysteries that lies hidden in the ancient desert sand, specifically their spiritual nature which began among the stars. While I worked in Egypt I quickly saw something more than the guides would talk about. Like I would say to my guests before entering a temple, "I can give you the regular guide story, which last 40 min, and then you can walk around by yourself? Or..."
"I can give you everything I've got, meaning I will tell you the details, and anything you point to, I will explain. I will use up all of your time, and still have a lot to say. the choice is yours". You could say that this blog is based on that concept, of giving you everything I've got, on what ever topic from this ancient land. Mysterious objects, that either moves or sings, are studied in more detail. I can guarantee you a journey which you haven't seen before, from below the ground to up among the stars. A peculiar and mysterious thing, is also the fact that what we have from the Pyramid Builders are in stone not papyrus manuscripts. Their spiritual belief was written into the stones. 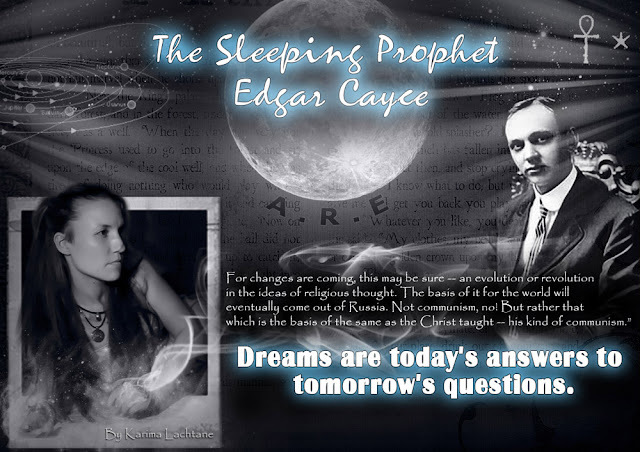 The mysteries of Edgar Cayce are also looked into, as well as the case of the Emerald tablets. 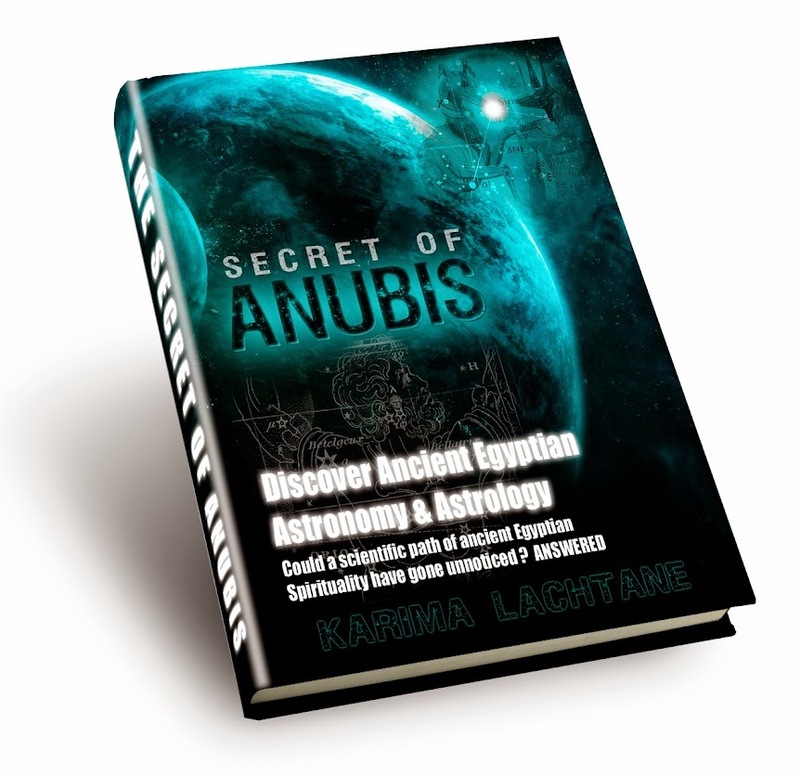 Furthermore you have a unique opportunity to read more about individual stars and constellations of ancient Egypt, known under the name of the Decans. 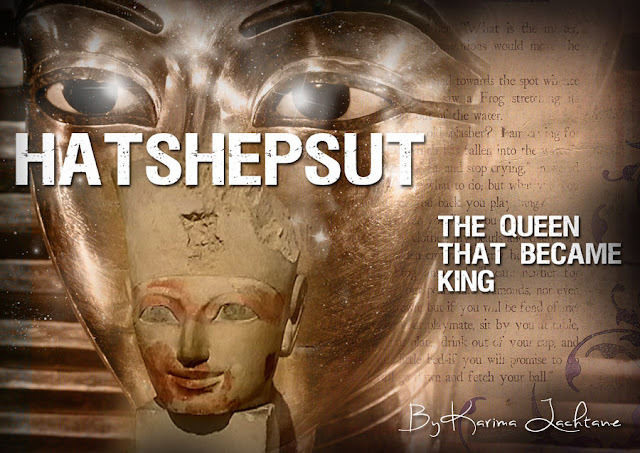 This blog goes extensively into different subjects from this holy land, and takes you on a real as well as truthful journey into the magical land of the great ancient Egyptians. The Emerald tablets articles can be found under the label Hermes Trismegitus, there are more than one article about each subject, and it is for that reason that they are arranged into label categories. You can also use the list below, turning the pages to see illustrating images of each article. This story has been posted on the Daily mail as well as the Huffingtonpost, and it is indeed a interesting story. The article posted on different news networks, try to move the story in a rather mysterious direction. Some referring to the curse of Tutankhamon, news gets a little bit out of hand with he fictional description in between the actual facts. At the Manchester museum a small statue had been standing in its place for 80 years, from the time that it was donated to the museum, until very recently, where it was moved into a glass monitor. Suddenly people noticed that the statue had turned, and as the days passed it would turn even more... Everything from TV physicist and the curator Mr. Campbell Price placed a time lapse camera, to record the statue moving. It is said to be a small statue of an ancient Egyptian named Neb-Senu, it is also said that it is an offering to the great god of the underworld, Osiris. It dates back to around 1800 B.C. 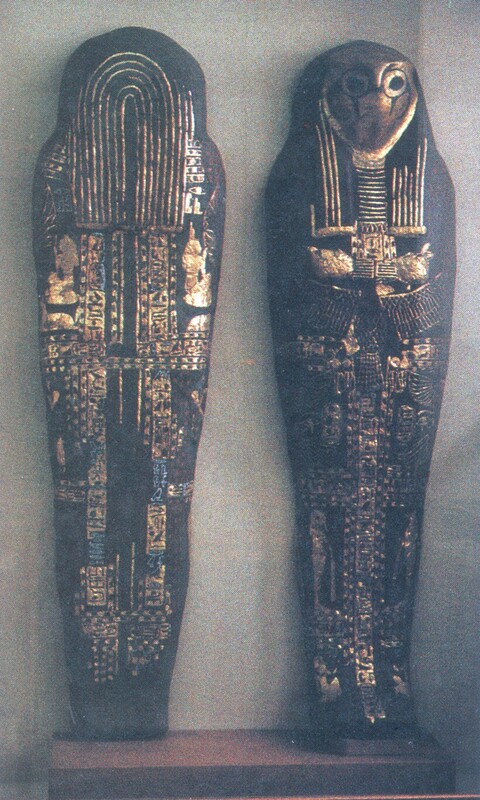 which would mean that Neb-Senu died in the time of pharaoh Amenemhet III ruler ship which was between 1842-1797 B.C. This makes this relic very old, dating back to the 12 Dynasty, before Ramesses II, before Tuthmosis I, and further back. Very old. On the back of the statue is a prayer asking for bread and beer in the underworld. I like to dig a little deeper, but it is not easy to dig that much deeper, if the only thing you have is a small statue locked in a glass case.. But I can look at his Name, and see where this might lead me. very superficial, the Word Senu, was incorporated into many pharaohs names. 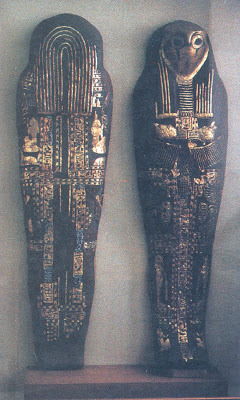 The pharaoh that ruled before Amenemhet II, was a king named Senusret III (1878-1841 B.C). The word Neb, was used a lot in ancient Egypt. It means everything from good to bad. The word Neb was both used to describe an enemy in some context, but there was also a Grain God called Neb. I would think that this name of Neb belonged to the Grain section of the word. If he was a farmer, then it would be very fitting. The word Senu is also interesting considering that Neb-Senu is seen as a name of the person, that this statue was dedicated to. The word Senu, means Gods. 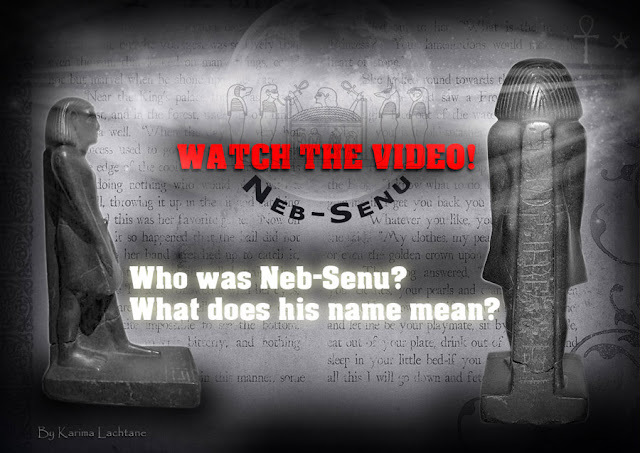 So if we put it together Neb-Senu means Grain-Gods. This off course opens up for the possibility, that it was not the person's name, but maybe the God that the offering was for. When we consider the prayer for bread and beer, then it is indeed something that you would pray to the Grain Gods for, because in ancient Egypt the Beer was also made from Grain, so both would go under the Grain-Gods. I just have to share this with you. The ancient Egyptians ability to work the lands material, is remarkable. Everything from the sandstone block to granite blocks all way to manipulating with the earths strongest material, known as deriot. On the way to the Valley of the Kings, people usually stop to see the gigantic Menon statues. People stop up for 5 min and take their pictures, and I have not seen one person notice the real architectural construction of these statues. What people are missing when they only spend 5 min there, is the real beauty of its creation. They build these colossi's in such a magnificent way, that when the winds hits from certain angles, a musical sound is created hereby making the statues sing in more beautiful notes than normal. It was said in the older days, that these great colossi's of Menon would sing towards the two horizons. One should not underestimate the ability of our most ancient ancestors, for they have proven time and time again, that they were able to construct these gigantic monuments, and they also stand the real test of time itself. In this article You will take another journey, into the long hallways of a gigantic building, that holds over 4000 years old artifacts. You will be placed in front of a mysterious looking False Door, and you will be introduced to yet another ancient culture. What is a False Door? There are so many things from the ancient world, that it would take several months to see them all. My eyes suddenly caught something, which was placed on a lower shelf (beneath knee height) some meters away. Mysterious writing on a ancient Egyptian false door. These doors are something the ancient Egyptian would use in their tombs, the purpose of these door constructions are for the Ba of the deceased (Ba, a kind of spirit being). You could see it as a doorway to a new dimension, the dimension of the soul. A magical door. 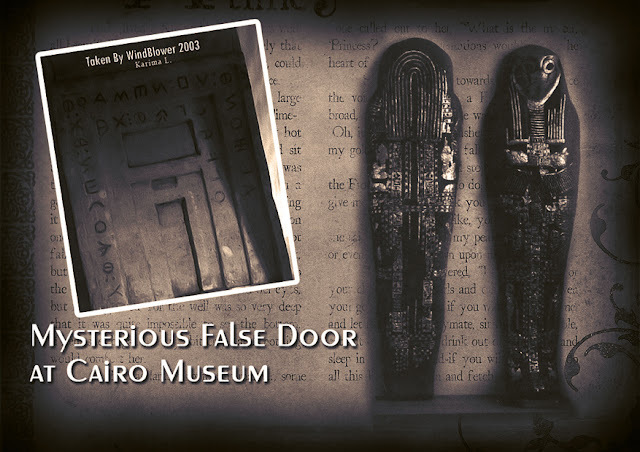 what stunned me the most about it, was the writing upon the false door, which did NOT look like the ancient Egyptians at all. I recognized the alphabet immediately, because I had just been working with this alphabet which comes from the Tamazight language, my fathers people. 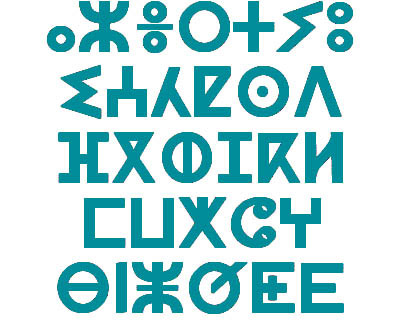 As I was studying my fathers roots, I quickly read about their language and alphabet - Tamazight, which comes very close to the writing upon the false door above (again a personal opinion), if not identical. the Free White Men of North Africa. The Amazigh people are divided into three main groups in North Africa. 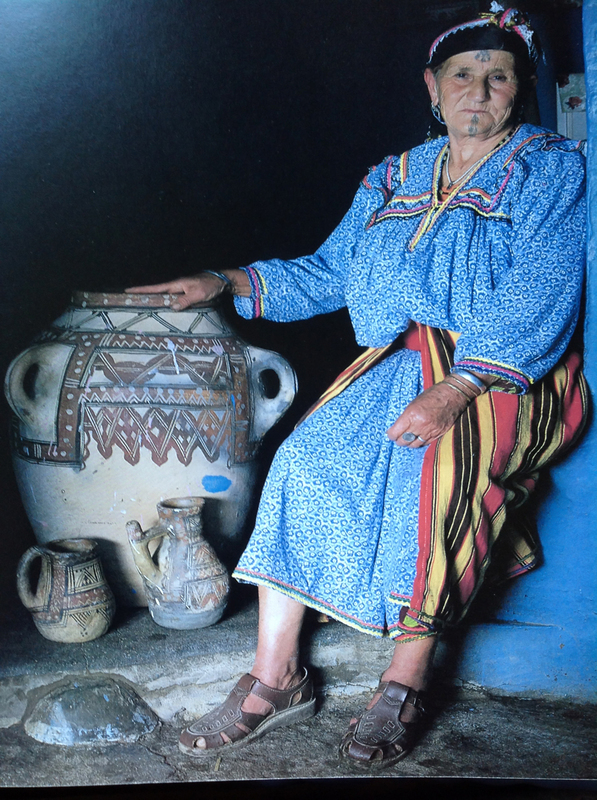 Each of these groups speak their own Tamazight language with their own dialect. 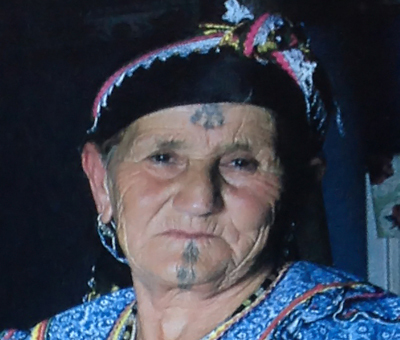 Notice this beautiful elderly woman's facial tattoos, they are a form of identification symbols. This is something that for the Atlas Amazigh people have survived to this day. The Mountain Amazigh people are known under the name Imazighen. The Amazigh tribal groups are also very known for their creativity. They tend to live in environments that are very harsh on the body, they are also forced to make everything from nothing. A stick is not just a stick, but can be used for writing, drawing, painting, or even to direct an animal in it's walk. One object can have many uses. My father has told be that it is a kind of family name for a tribal group. Last time that I was in Luxor, Egypt I off course visited a bookstore there as I always do. I saw stacks of old pictures taken across North Africa from the beginning of the 19 century, so I just had to look. I quickly came upon these two, as you can see on the picture above. These pictures belong to the collection of Lehnert and Landrock. This group which my fathers also belongs to lives between the Sahara and the Atlas mountains, right in between the two other tribal groups. These tribal groups have always been seen as a minority (?). The older Arabic kingdoms illegalized writing of the Tamazight language, actually jailing people if they wrote it. Morocco's new Kingdom is much more attuned to the people of today, and tribal groups are now allowed to write their language, as well as, people are now allowed to be proud of their heritages, which was also illegal in the older kingdoms. Senhadja or Touareg Tribal group. 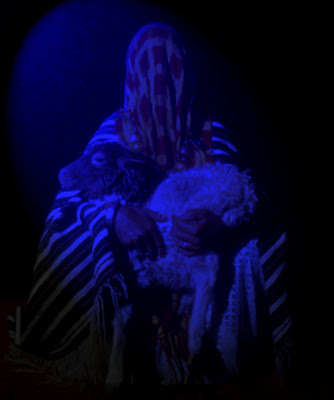 There are the Blue Amazigh people, which are a black tribal group in the Sahara desert. 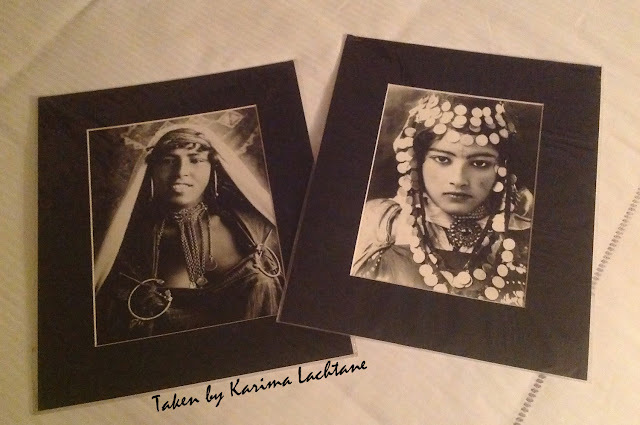 They are referred to as Blue Amazigh people (in worst case the blue Berbers), people of the north called by this name because they tend to wear blue scarf and clothe, so much so, that their skin can have a beautiful blue shine to it. In the ancient days of the Egyptians, these tribal groups were both known and admired for their magical skills. Earning the title of magnificent magic makers, even by the ancient Egyptians. I took you a little backwards in this cultural story, only to reach the mysterious false door from ancient Egypt. Now let me present you with the Amazigh pharaoh, the man that conquered over Israel after the death of the great Solomon. We have to go back to 900 B.C (before Christ), a place where another kind of revolution had taken place years before. 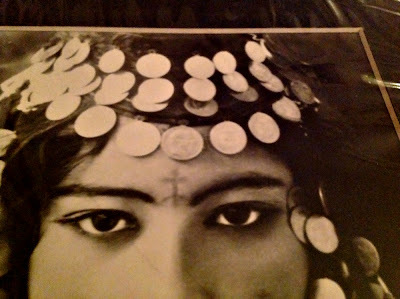 The Amazigh was at first used as slaves for the pharaohs, the Egyptian kings would go out and conquer the smaller Amazigh families, drag them back to Egypt, where they would work. We know this because it is documented on the walls of Karnak, where their Amazigh village names were engraved. It is very obvious that they could work themselves to a higher position in the Egyptian society, and automatically become free people living among the Egyptians. This could be where the Amazigh word descended from, in that it means Free white men of North Africa.. The 22nd Dynasty was started by the Amazigh pharaoh Sheshonq I, he was legally married into the royal family and he had earned his way into the heart of the soldier. He was recruited to work as an internal police force, as we still use today. 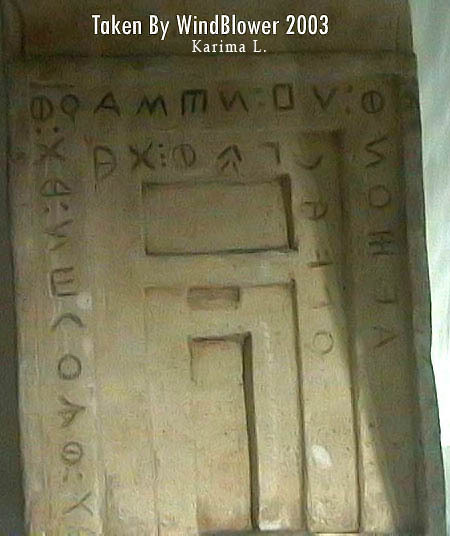 It is very obvious that the Mysterious false door is from the Amazigh people, because these tribal groups were mixed into the Egyptian culture, because they lived side by side for thousands of years. The Broken stone of Senusret I 1971 - 1926 B.C. Copyright © 2013 Secrets of Ancient Egypt and blogger themes .